Since I have been guest blogging on Lorelle on WordPress, I decided to talk about the eqipment of podcasting. Here it is! My last posts were guest posts here were about podcasting in What is Podcasting, Issues of Podcasting, and Starting your Podcast. This time I will be talking in-depth about the equipment need to podcast. To start, you need something to record the audio. If you own a Mac, GarageBand is included, and is a great program. Since I own a desktop for podcast, I use Audacity. Audacity is easy to use, you can export as MP3, WAV and AUP files. This is how you record the audio, but how do you get the audio in? A Microphone. 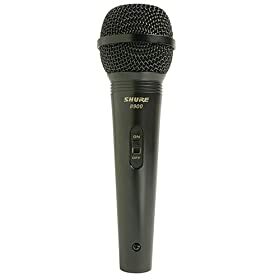 When I first started podcast, I was using a computer microphone, but since I have gone more into podcasting, I use a Pro Microphone. Now to get the mic sound into the computer, I use a mixer. A mixer is a great podcasting tool, because I can play all the music live, and it is really easy to use. I use a Behringer Mixer. To connect to my computer, I use the output to the mic jack, and than to get the audio in, I use the second channel. Once you get the correct cable, you are ready! Of course, headphones are very nice to have, so think about buying that. If you really want to go of the hook, this kit that I use is at grand total of USD $180.00. If you have any questions about podcast, visit my blog and ask! Daniel Brusilovsky blogs and podcasts covering Apple computers and technology. Daniel recently started a new podcast! He is a sophomore at Aragon High School in California and co-President of the technology club, Mousesquad. Next Post Wil Harris on Apple Universe!